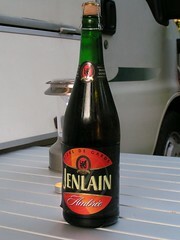 Today on Facebook, I was asked by Siblu Holidays, if I had a Top Ten French Beers, I didnt but it is a good idea for a blog. I have not done a Top Ten Beers before, one reason is, that although I am qualified to make my own Top Ten of my favorite beers, I have not tried enough beers from any particular country to make a definitive list. Saying that, I can list some of the beers that I have had from France, not necessarily in the order that I liked them and not necessarily best. Obviously this list is to my taste, the beers I liked and many may disagree with my choice but that is the beauty of beer drinking. 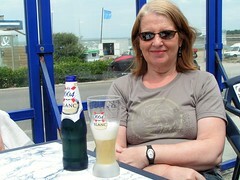 The French are experts at making those easy to drink lagers, lagers that are best served very cold on very hot days (just what you need on holiday in France), and many UK supermarket own brand lagers are brewed in France, so I think the best of these need a mention. 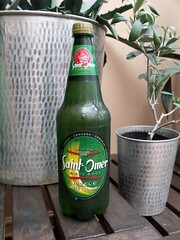 I also though it would be nice, to include a mention of the other beers I like that are widely available throughout France, together with a warning of the beers I would not buy again over there. Now for the hard part, I think it is too difficult for me to rate them in any order of preference, so it's just a list of Ten beers I would like to have again and also a variety of styles. 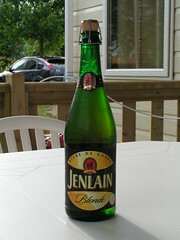 7.5% nice head, amber colour with a thin head, fruity aroma, sweetish but strong malty taste, very nice, one of the best French beers I have had so far and better than the Jenlain Blonde. 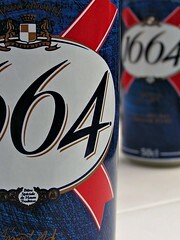 You should all know this one as, Kronenbourg 1664 is France’s No.1 selling beer and the UK’s second-biggest selling premium lager. 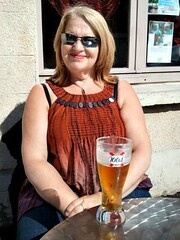 5.0% lager, gold with a thin head, not the worst you can get, good cold on a hot day in France. 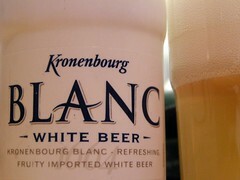 Not so well known although it was pushed for a while over here, a nice entry level blanc. 5.0% (it was in blue bottles when I bought it in France), cloudy pale yellow with a thin head, fruity aroma, fairly sweet citrus taste, Dot likes it more than me but I will not turn one down, ever. Another blanc beer, 5.0% Weissbier, cloudy gold colour with not much of a head, sweet floral aroma, taste like a normal wheat beer but with a hint of vanilla, surprisingly I really like it and when in France, buy it whenever I come across it in the shops. 7.5% gold colour with a thin head, sweet malty aroma, sweetish but strong taste, very nice, one of the best French beers I have had so far. 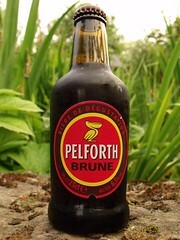 5.8% gold colour with a nice head, basically a very nice hot day beer but I prefer the Brune. 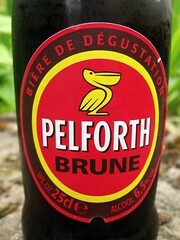 6.5% dark colour with a good head, caramel aroma, bitter sweet burnt malt taste, very nice beer. Another Brune, 6.9% dark colour with a very nice head, a dark beer with a malt aroma, some caramel in the taste but slightly lacking in body. 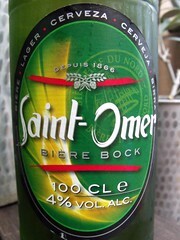 Saint-Omer, make the majority of French beers sold in UK supermarkets. 4.0% gold colour with no head, slight malt aroma and taste, very much like the 5.0% Saint-Omer Blonde, great for dinking on a hot afternoon in the back garden, not for the beer connoisseur, purely for drinking without thinking. Best served very cold. 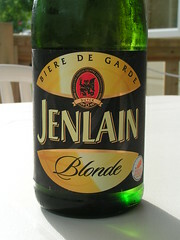 8.5% light gold colour with a thin head, slightly sweet aroma, fruity taste and strong, nice though. Four top Belgian beers that are immensely popular in France and are sold just about everywhere, in bottles and on draught. Finally a few that I would avoid (this doesn't mean that you will not like them though), click on the photo to find out why. Below are the links to my other Top Ten Beer blogs. Great detective work in France. I tried 3 Monts for the first time in Amsterdam a few weeks ago and thought it a solid beer, although I can't recollect much of that holiday very clearly! 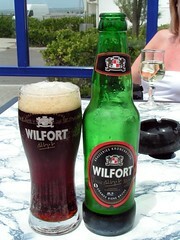 I'd love to get my hands on the Pelforth Brune & Wilfort beers. 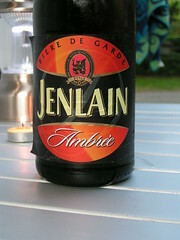 Heard only good things about the Jenlain biere de gardes too. 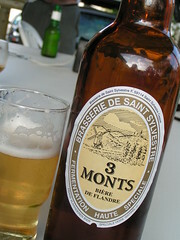 I have a story about 3 Monts, I think I should do a blog. 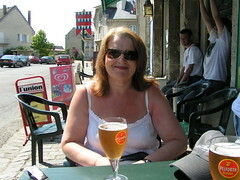 I had many good French beers before I started the photos, so will have to find them again. Many many thanks for the time you put into this site. 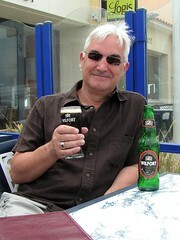 I go to France 2-3 times every year and admit to having got into a rut re my choice of beer. I'm off across the water again in September and with the incentive your comments have given me, will be much more adventurous in my choice of beers and like you will be more open to the new. Bless you both and long may you enjoy your traveling and quaffing. Thanks Peter, we will be in France in Sep as well. 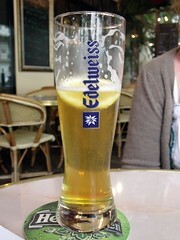 another beer you guys should try is - la Goudale! 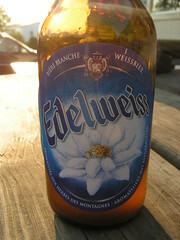 one of the best french beer i have had so far! I saw Desperdos beer in Barcelona. 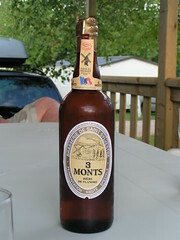 I thought it was a Spanish beer and was surprised when they brought it to my table and the label said France. Not one of my favorites either. 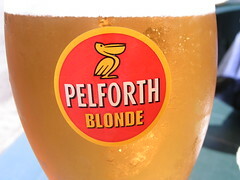 Was very happy to find your site, as I'm leaving for France in a couple of days and always like to sample the "local" beers and see if I can get souvenier glasses. I have my work cut out for me. This list will come handy I think as I am going to France in September and trying good beers is always nice whenever coming to a new country.